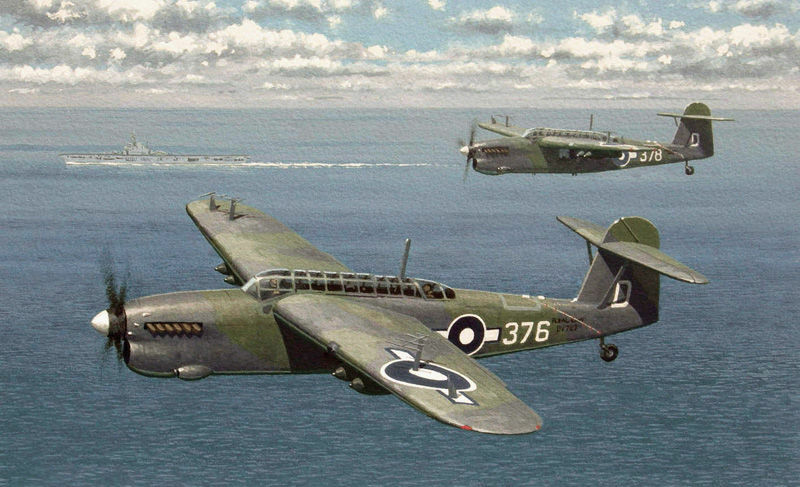 This Pacific war scene depicts Fairey Barracuda Mk.II aircraft from 827sqn. Fleet Air Arm with their home carrier HMS Colossus in the background. A 13" x 8" watercolour / gouache on paper, unmounted, unframed. Reproduced on stamps commemorating 100 years of Naval Aviation.